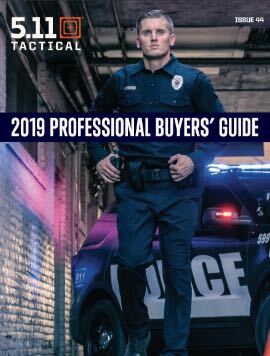 You can’t find success at the range without the right gear – but as long as you have a solid range bag filled with the basics and a few bonus items that matter to you, you’ll be ready for anything the day throws at you. 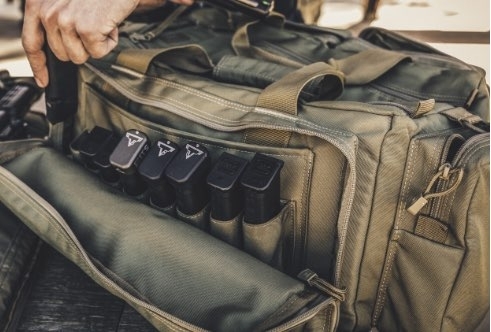 We asked the tactical operators at 5.11 which essentials they always keep in their range bags. Use the checklist and packing hacks below to stay prepared in any situation. We’ve all been there. You get to the range, sign in, and you’re ready to shoot – and then you realize you forgot something crucial. Use these tips to keep track of and stock your mission-ready Range Ready™ Bag (or another bag you like). Fill out a luggage tag and put it on a little-used zipper on your range bag – a luggage tag will stay put better than a hook-and-pile nametape and it’ll outlast a permanent marker, especially if you’re operating in wet or muddy conditions. Label all your gear with a permanent marker (a metallic one works best for dark items) and keep a copy of your range checklist in your bag to double-check that you have everything before leaving for the day. With a reference checklist, you’ll only have to replace items you’ve used, rather than dump the whole bag and repack it each time. Loose items belong in a clear, plastic bag, and so do papers, your ID cards and everything else you wouldn’t want to get wet, sandy, grimy or lost. Stash a large plastic trash bag in one of your range bag’s pockets. If you’re caught in a sudden downpour, you can toss the whole bag inside to keep it – and your gear – clean and dry. Keep in mind that your range bag should be set up to serve your needs, whether you're training indoors, outdoors or gearing up for a shooting competition. Use this checklist as a foundation for building out your unique range bag, and adjust it to fit your environment.